Jakarta. The Beringin Karya Party, commonly known as Berkarya, is still holding out hope that the Constitutional Court will approve a petition to scrap the current threshold needed to put forward a presidential candidate. If the court decides to amend the regulation, which requires a party to have 20 percent of all seats in the House of Representatives, or 25 percent of the national vote, to nominate candidates in presidential election, Berkarya Party will be able to endorse its chairman as a presidential candidate. The chairman, Hutomo "Tommy" Mandala Putra, is a son of former President Suharto. 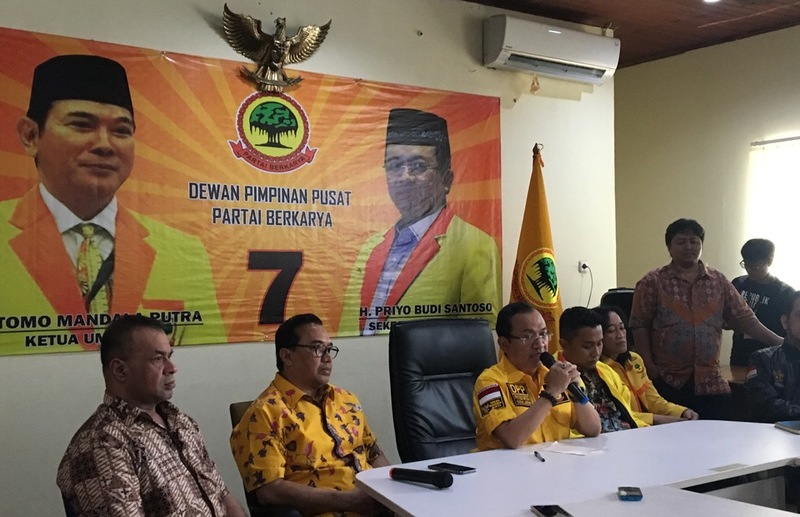 "If the Constitutional Court decides to scrap the current threshold, the Berkarya Party will endorse Tommy Suharto as a presidential candidate," Berkarya Party secretary general Priyo Budi Santoso told reporters in Jakarta on Friday (03/08). In January, the court rejected an appeal by various political parties to remove the threshold, as it does not violate the country's 1945 Constitution. On June 13, a group of academics and activists, including former Finance Minister Chatib Basri and former General Election Commission (KPU) chairman Hadar Nafis Gumay, filed another appeal, which is currently being reviewed by the court. Petitioners argue that the threshold prevents alternative candidates from contesting, limiting Indonesians' choice of leaders. They also expressed hope that the ruling will be announced before Aug. 10 — the last day for candidates to register. Should the appeal be rejected, Berkarya Party will have to decide which presidential candidate it will endorse instead of Tommy. According to Priyo, Tommy "gave a signal" during a recent event organized by Islamist group the National Movement to Guard Fatwas (GNPF) that Berkarya will follow its choice of Gerindra Party chairman Prabowo Subianto. Prabowo is former husband of Siti Hediati "Titiek" Hariyadi, Tommy's elder sister. Berkarya will announce its decision before Aug. 10.